Envo is a free eye-catching resume template with an outstanding header. 2-column structure layout. 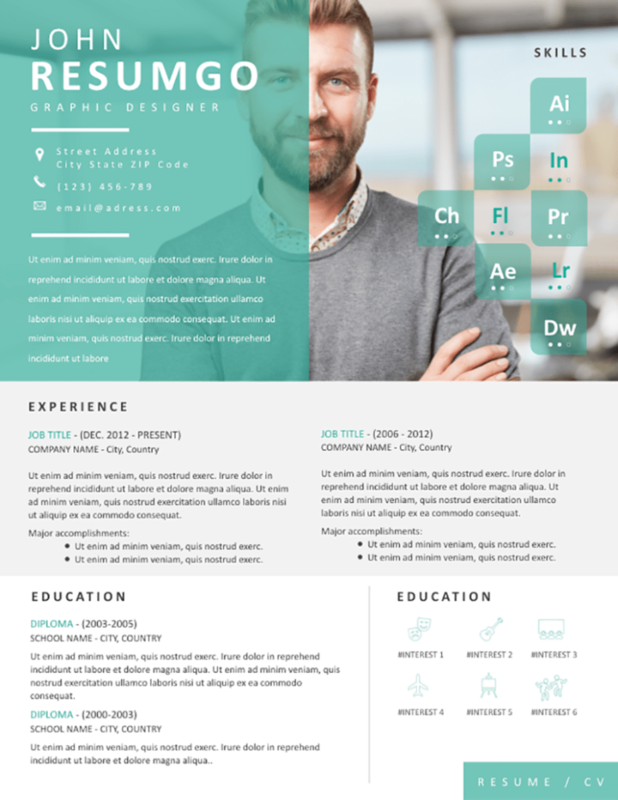 This resume template uses a fresh and relaxing color palette, with a combination of cyan and gray. A very large header (almost half the page), where you can place your high res ID photo, will also contain your name, job title, personal information, and your customized statement (profile, objectives, for example). Then, your professional experience will be presented inside a 2-column gray banner. Finally, your education and skills (icons) will be displayed at the bottom of the template.